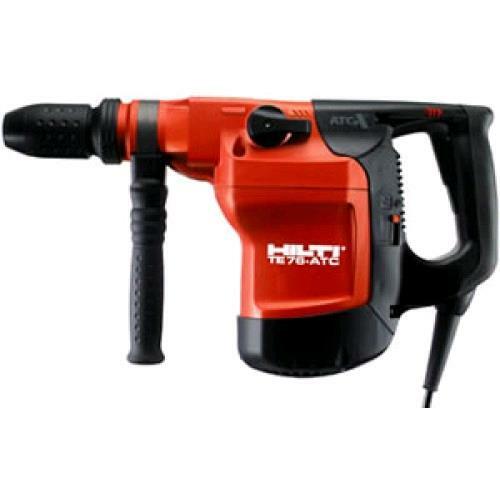 Electrically powered rotary hammer and breaker with pneumatic hammering mechanism designed for professional use. The tool is designed for the following uses: drilling in concrete, masonry and natural stone; chiseling in concrete, masonry and natural stone; and setting anchors. It may also be used to drill metal and wood when using metal and wood bits. Weight of Tool Without Bit - 15.0 Lbs. Speed II = 0-282 I = 0-200 r.p.m. * Please call us with any questions you may have about our hammer roto large rentals in Petoskey, Northern Michigan & The Upper Peninsula.